It’s sunshine in a jar. 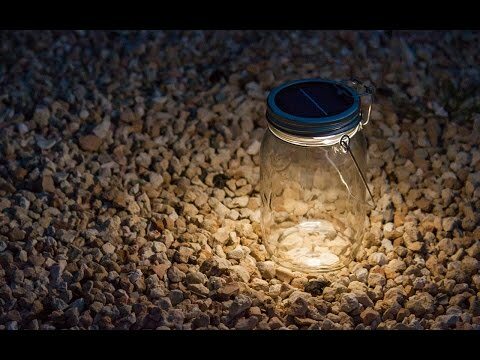 This 100% recyclable mason jar holds four solar-powered LEDs; inside the lid are solar cells. Simply place it in direct sunlight to charge the batteries, then flip the magnetic switch for hours of bright, soft light. Founder Harald Schultz, affectionately known as "Mr. Sunshine," put his solar industry knowledge to work for the greater good. 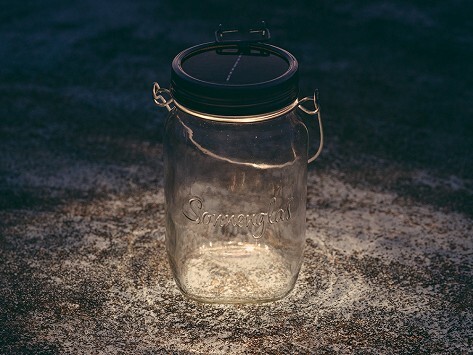 These mason jar lamps have brought newfound skills, living wages, and passion for solar technology to South African workers. And they provide a safe, sustainable alternative to kerosene lamps. I bought this for a friend; she loves it. The description said it was bright and you could read by it, and that was spot on. As well as being very nice to look at. A nifty gift for someone. Lighting up our back yard. The SONNENGLAS® solar-powered LED light was created by Stefan Neubig as a safe, sustainable alternative to kerosene lamps that are often the only source of light for for people with no access to electricity. The light casts a soft glow that is just the right brightness to read by or lighten up spots, like a patio. Add decorative pebbles, flowers, or your favorite touches to make it more personal. Stefan partnered with engineer Harald Schultz to produce the lights in Johannesburg, South Africa. They use 100% recyclable glass and solar cells that can charge the four LED lights with just a few hours of exposure to the sun. SONNENGLAS® is dedicated to exploring ways to make renewable energy a stronger part of our everyday lives, as well as giving back to the folks who make the light. Their workforce, predominantly undereducated and unemployed, now receive a living wage and training, so they are better able to pursue a brighter future.